IMDb have released a new version of their Internet Movie Database app for Apple’s iOS platform and Google’s Android platform, the new version of the app comes with a range of new features. 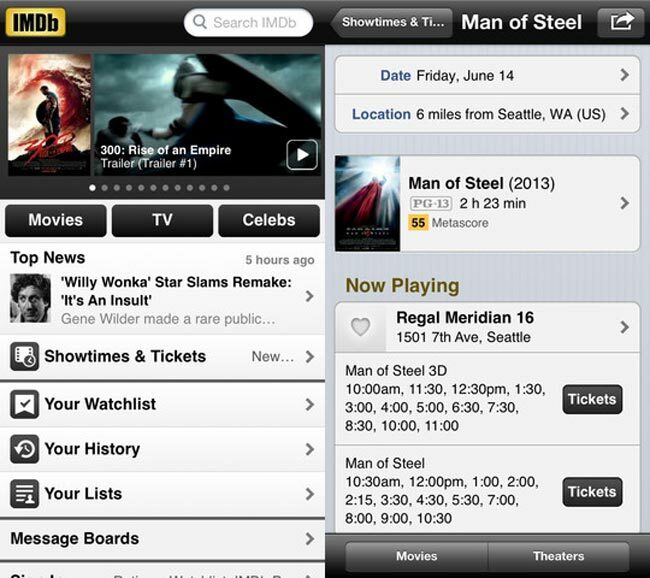 One of the major new features in the update IMDb app for Android and iOS is the ability to buy movie tickets direct from the app, this feature is only available to people on the US at the moment. The purchase of the movie tickets from within the IMDB app are done through Fandango, and you choose your theater, what movie you want to see and then purchase your ticket.